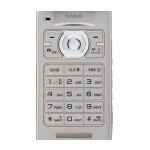 Back in February, we brought you some exclusive images of the Casio C721 Exilim 5MP camera-phone for Verizon. Since then, there's been very little info about the device, and it was even removed from the Verizon Rebate Form this month. A new picture of the Exilim has now shown up on the Buywirelessnow web site, including a list for some accessories. The image shows that the device will have a champagne/silver color for the lower flip and keypad, with all-black used for the upper flip. If you look closely, the screen is showing the layout of the phone's Main Menu with "Media Center" in the middle. 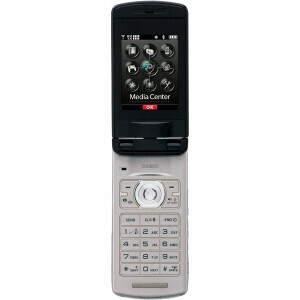 We just wish the device would be released, since the only other 5MP camera-phone for Verizon is the Samsung Omnia. Touch screens make EVERYTHING better. I put a touch screen on my toaster, and now it toasts bread like a mother! If you are willing to buy a house, you will have to receive the credit loans. Furthermore, my sister all the time uses a financial loan, which seems to be the most useful.